If you have ever tried to consult a nautical chart while underway on a boat, you may agree that it can sometimes be an exercise in frustration. For serious cruising, the ubiquitous Chart Kits are ok, but they can be ungainly because of their size. Another frustrating part is that, if you use the charts for any extended period of time in a marine environment, they just don't hold up. The thin card stock covers tear and bend, and pretty soon they start to hang off the ends of the spiral binding. If this were not enough, one normally has to go back and forth between numerous guides and gps coordinates to locate any marine facilities on the chart. Suffice it to say, your average Maptech ChartKit does not make the necessary task of navigation easy. For these reasons I was very impressed when I saw a copy of "Coastal Charts for Cruising the Florida Keys." This alternative to the ChartKit is presented by none other than cruising guru Claiborne Young, and complements his "Cruising the Florida Keys" guide. "So what?" you say, "What's the big deal about charts?" I know, I know. The average experience with charts is one of near-drudgery. However, in the hum-drum world of chart navigation, this book of charts SHINES. Young's "Coastal Charts for Cruising the Florida Keys" is spiral bound like a ChartKit, but it boasts a very strong and thick cardboard cover. It can withstand splashes of rain coming off the bimini or dodger, and the dribble of salty spray off your nose. All the pages are neatly and safely stored inside, which means that they won't tear and they will last many seasons of drudgery free boating and cruising. Another feature I like about this collection of charts is that the book is half the size of a ChartKit, but the charts are still the same size! On our boat you will find that most of our ChartKits have a big crease in the middle. This is because the charts themselves are so wide that you have to fold the book in two to even carry it correctly. Young simply took that same idea, and presents each chart in a two page spread, effectively cutting the width of a standard ChartKit in half. Last, but certainly not least, the best part of this chart book is that every chart uses highly visible icons to display where the marine facilities are, such as marinas, lighthouses, repair yards, anchorages, yacht clubs, bridges, restaurants, historical sites and parks. Every location you need is easy to spot. 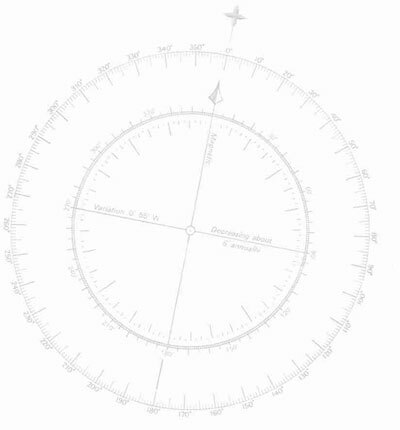 This chart book eliminates the need to plot waypoints on the chart to find anything. I wish we had something like this years ago, as it would have saved a lot of eye strain and captain/first mate "debating." As an extra bonus feature all of the icons are cross referenced in Young's "Cruising the Florida Keys" guide book, making the pair an extremely well thought out Florida Keys cruising reference you shouldn't be without. Click here to purchase a copy of "Coastal Charts for Cruising the Florida Keys"
A guide to the displays, and how to make the most of watching them on the water. Suspect claims she was new to the area and didn't know she could not touch a manatee.